The Lace Trench has to have a worthy head piece and I could not resist this pattern.. 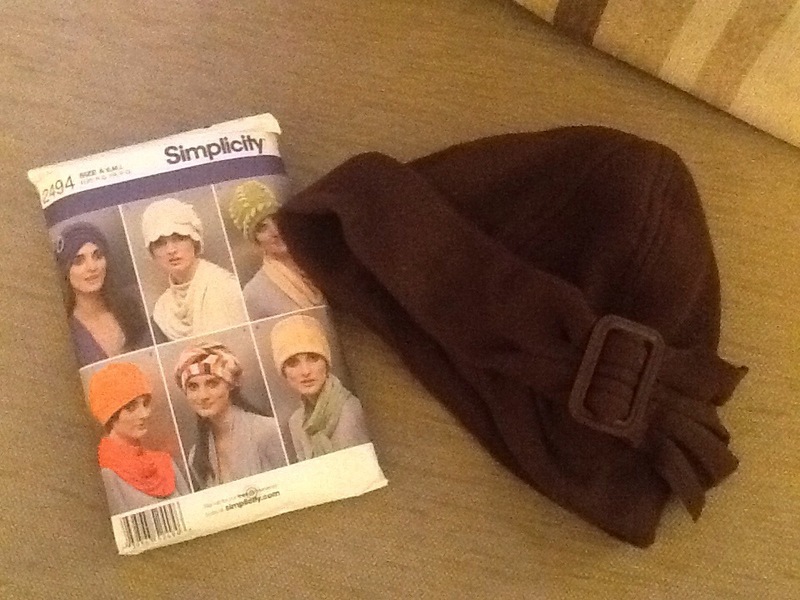 Simplicity 2494. Thank you! Me too…. I fancy making the cream scalloped one next! Hehehe! Yes let’s! It is to go with the brown lace trench! How are you? How is your programme going? Thank you! I never even knew there were hat patterns out there! I am going to have hats for every outfit now! Haha looking forward to seeing the Vogue one, is it the same style? It is Vogue 8941- a little different but I liked a few of them! I googled it…… Nice -I like them! Gorgeous! Which one first? Hard decision! View D for me I think. Then a C version for my middle daughter. 😀 Sheesh- now I am itching to get started! This is a great hat! And, the one with the scalloped edge is going to be just as fetching! Can’t wait to see it too! Thank you! I have to say I really love it! Yes, scalloped one is lovely too. Not sure about the colour for that one! I think it would look good stitched with a different coloured thread too! Love the hat… very cute and cozy. Actually, I made two coats last year… or was it three? Hahaha. Mmmmm,. Well, a cape?? They seem to be all the rage! Are you signed up for the monthly stitch? It is Frocktober this month…. No coats in sight! That is soooo cute! And snuggly too I bet. Hello! I am gutted! You are my inspiration! Well, remember how I was going to take such care……. Ermm, lasted about 15 mins! I had a Downton Basting ( ie watching Downton Abbey and sewing the lace onto the cotton) . But it still moved … Obviously basting not my strong point……so have now got a new improved plan! I pinned lace onto fabric and then have zigzagged the edge of both! Double bonus- lace fastened on and edges should not fray!! Have got quite a few parts finished….. But there are so many!